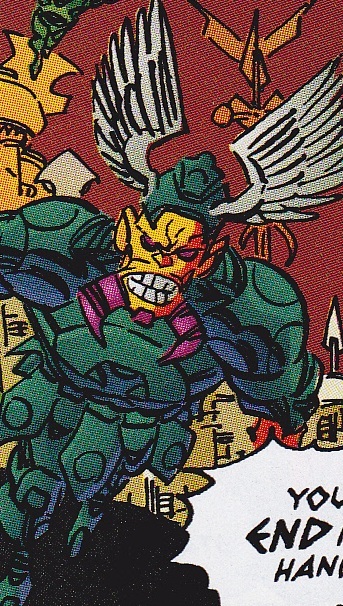 Other Distinguishing Features: Yellow skin, full bodied armor, and purple horns coming out of his chin. During a battle between Dragon and his allies against Monster Master and his monsters the Gods send in reinforcements to squash the battle and recover the descendants of the Gods. Heimrokk is part of the reinforcements.